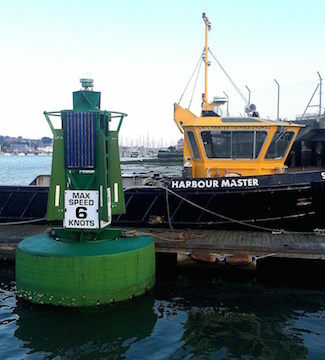 Cowes Harbour Services has extensive experience in the servicing and scheduling of maintenance to all local harbour navigation marks and many of the Solent race marks. 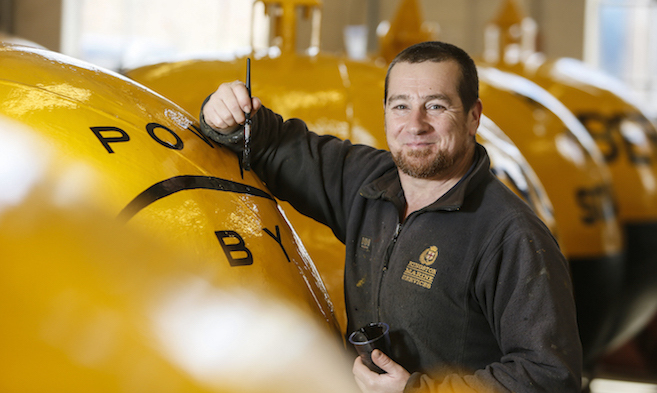 We can fulfil all your mark laying or retrieving needs, on a one-off or ongoing basis. 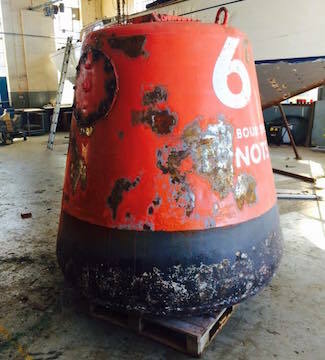 As well as the harbour marks, Cowes Harbour Services looks after the majority of the seasonal race marks for the SCRA (Solent Cruising & Racing Association) and the Victory Class in Portsmouth. 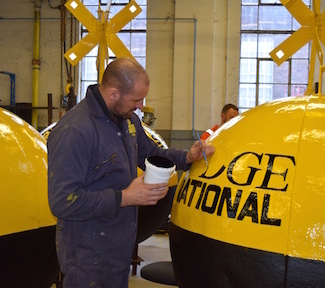 We also take care of temporary buoy requirements during the Round the Island Race and Cowes Week. Racing marks are carefully painted ahead of each season (left image); by the end of the season though they are not all looking so smart (right image)! 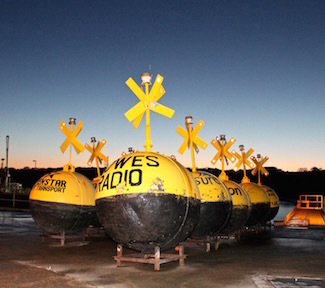 Away from the yachting scene, Cowes Harbour Services has deployed wreck marking buoys for the New Forest National Park in the Solent and its western approaches, and worked on contracts for English Heritage and local yacht clubs.